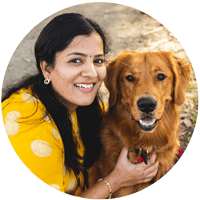 I started to participate back in the Blogging Marathon after three months break. 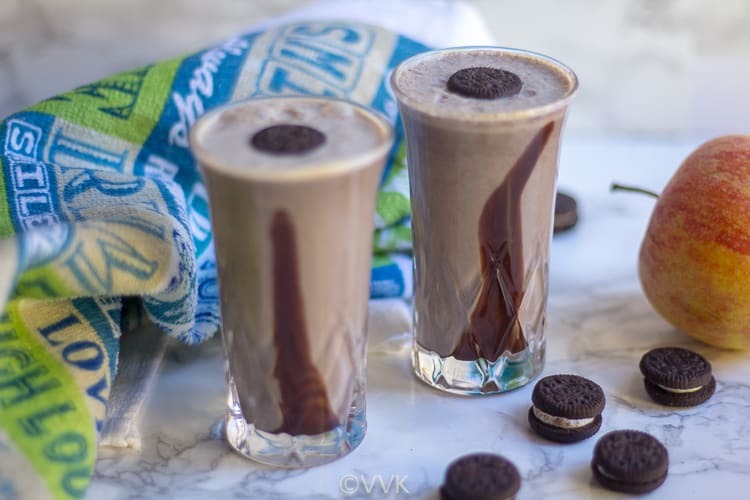 I am happy to post the theme-based recipes and this week theme is “Kid’s Delight – Chocolate Dishes,” and I am starting it with this simple Oreo Milkshake. Don’t be shocked; Vaandu was not a big fan of chocolate until recently. Like you all, we were surprised too. Anything with cocoa, be it cake, brownie, ice-cream, you name it, and he won’t touch it. It’s not that he won’t eat any sweets. He loves candies, vanilla flavored cakes, pastries, etc. So we had to wait to see if his taste buds were getting acquired to the taste of chocolate or not. 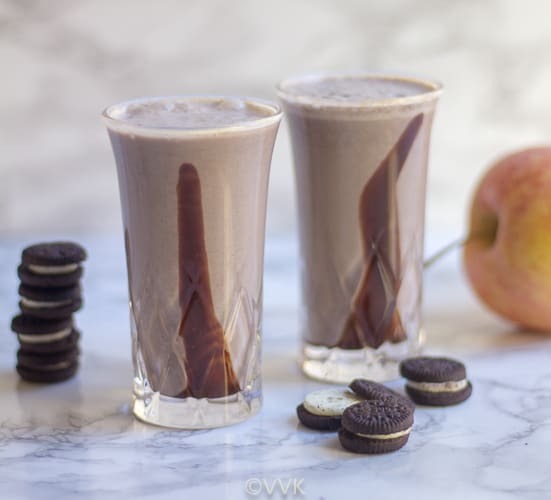 A lip-smacking and rich milkshake with the oh-so-delicious combination of chocolate Oreo cookies and vanilla ice-cream and milk and apple. 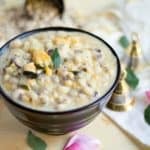 Blend the cookies, ice-cream, milk, and apple in the mixer jar or blender until smooth and frothy. 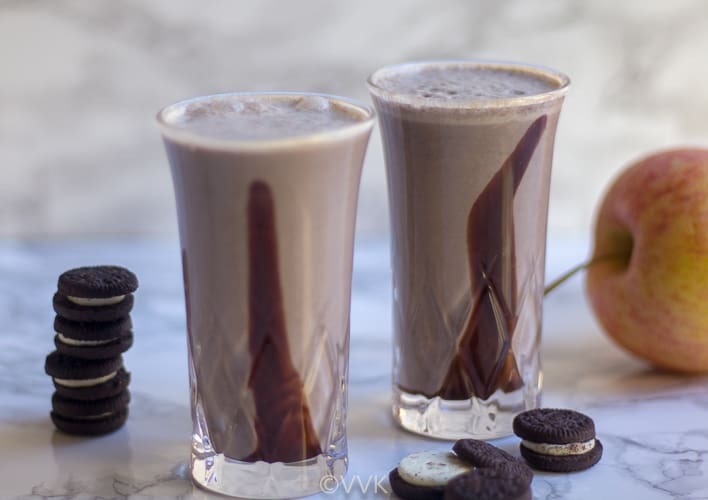 If using chocolate syrup drizzle a tsp in the glass and pour the milkshake and serve chilled. 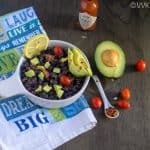 There is no set measure for this recipe. 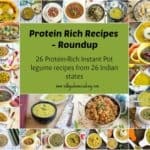 You can adjust all the ingredients as per your preference. If using regular sized Oreo cookies, you can use four or five. I did not add any ice cubes, but you can add a few. I have tried banana and pear instead of apple in this milkshake. 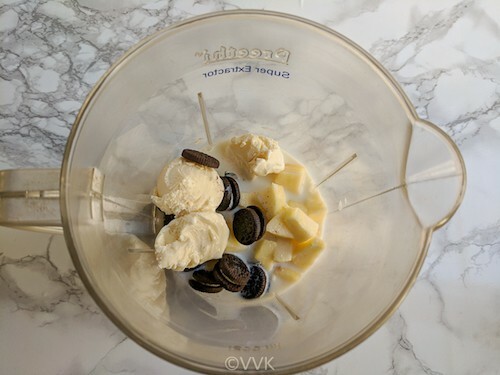 what a great idea for a milkshake and the best use of those mint chocolate Oreo’s – I love most mint chocolate flavored things like ice cream but I hate those cookies when I tried them! 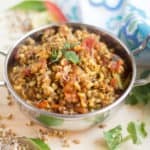 Looks delicious vidhya, i make these often at home. 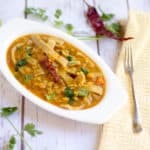 i make them with bananas, will try with apples the next time! That is a stunning shake of milkshake. Love the marble backdrop too Srividhya. 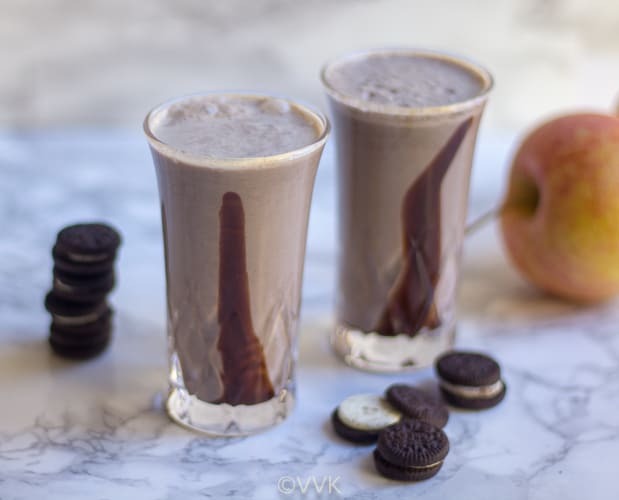 What a fabulous milkshake there, never thought of adding apple with oreo. Milkshake looks absolutely irresistible. Good to have you back Srividya..and this is a great milkshake, even I won’t mind enjoying this right now! I can relate to the no chocolate to chocolate lover transition as I have seen it happen with my kids. This OREO milkshake is a definite win with the kids. Ha ha I am totally shocked :D Your Vandu has come so far, I think he will graduate to a chocolate lover one day. Oreo milkshake with fruits in it looks so yummy. And love how you presented them. Loved reading your post. Thanks a lot, Manjula. Glad to have you back in the group. The shake is a healthy one and perhaps the apples in it have been liked by Vandu ! For chocolate lovers it sure is a treat. Welcome back, Srividhya. Haha, what a gradual shift from no chocolate to white chocolate to chocolate! Oreos milkshakes awesome . 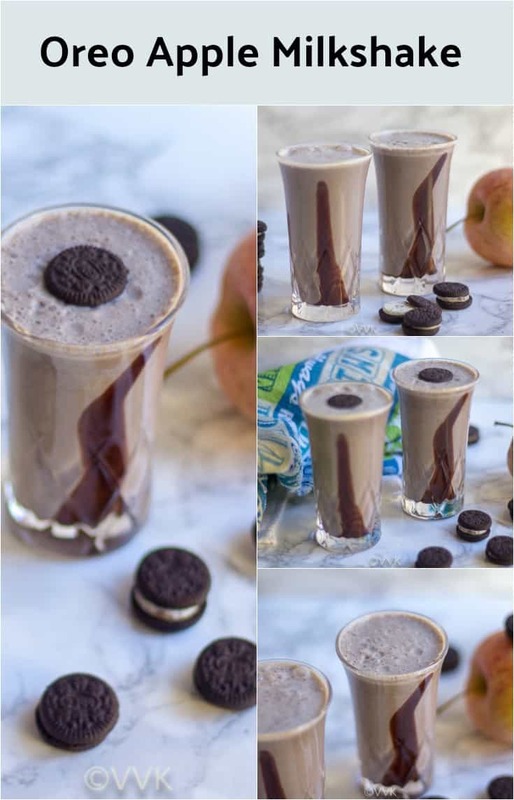 Wow a unique combination of oreo and Apple and it looks so tempting. I love any milkshakes with chocolate in it. Worth a try. It is really surprising to know that. But it is also good to hear that he started liking chocolate. This milk shake looks amazing. 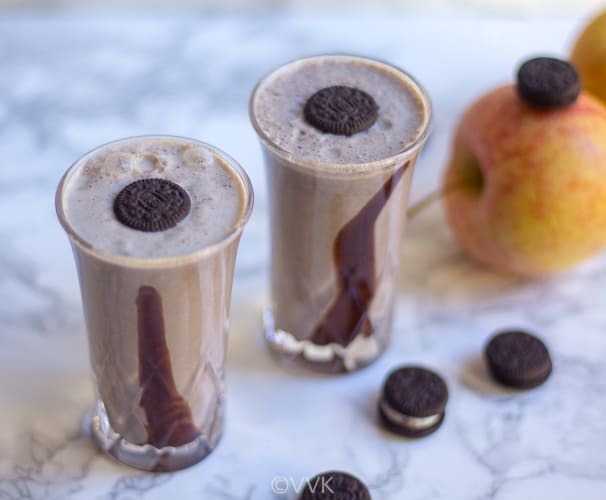 With icecream, oreo and apple nothing can go wrong.. Thanks, Gayathri… Good to see you back.